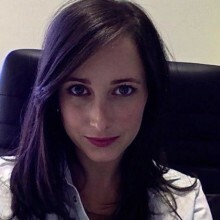 Aviva Tugendhaft is the Deputy Director of PRICELESS SA (Priority Cost Effective Lessons for System Strengthening) based at the University of the Witwatersrand School of Public Health. She is involved in all research activities by the unit and is also very active in the dissemination of the research results to the public, largely through engagement with the media and publication of short articles. Aviva has an undergraduate degree in Law and Political Science and a Masters in Health Sociology from Wits University. Prior to joining PRICELESS she worked in the NGO and public sectors where she was involved in programme and policy analysis and development, specifically with regard to HIV/AIDS and community initiatives. She also worked in the private sector where she developed workplace wellness programmers. Aviva is pursuing a PhD focused on applying tools to engage the public in priority setting for health in SA.